I thought a good place to start would be with a review and preview. What has still stuck and what is gone…. No Poo, definitely here to stay. Since Oct 2013 I have only washed my hair with shampoo from a store-bought bottle once. My No Poo + pluses + Cheap cheap cheap baking soda (bicarbonate of soda) and water. Compliments about how healthy, shiny and clean my hair looks and I can customise it by adding essential oils, I use Rosemary and Cedar Wood, smells good, good for hair. – Minuses – there is only one minus in my book and that is when I travel and use a different water my hair can be a bit temperamental. Currently I use 1tbsp bicarb to 1 cup water in an old powerade bottle. Probably in the last year or two I have started adding about 4 drops each of the essential oils mentioned above to the bicarb before adding the water. I use about half the bottle in one wash. Generally I’m washing every 5 days, so I’ll wash Monday morning then again on Friday morning. Wednesday and Thursday are mostly up hair days, yet I’ve been told my hair looked clean, so score. 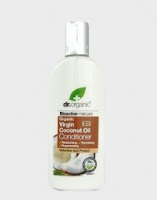 After a few years of using Moo Goo’s cream conditioner I’ve now switched to Dr Organics Coconut Conditioner. The move from Moo Goo was due to some inside information I was given by an ex worker and I felt I didn’t want to support them any longer. 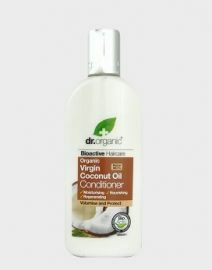 I’m not 100% sold on the Dr Organics, just because I haven’t researched the brand or ingredients yet and haven’t used it for that long. It smells divine and leaves my hair feeling amazing, so that’s a good start. DIY Deo also here to stay. Recipe is the same, corn flour and bicarb, roughly 1/3 cup each and then make a paste with some melted coconut oil and add in essential oils. I can officially tell when summer starts by the melting of my deodorant and its migration to the fridge. The only down side to deo in the fridge is forgetting to put it on…out of sight, out of mind. To combat that I now have a small plastic tub with some deo paste in my handbag, just in case. Natural deodorants are sooooo expensive, so I love this cheap alternative. Though you do sweat, see the original post http://theselfrelianceshepherd.com/2014/09/12/never-say-never-to-d-i-y-d-e-o/ I have never smelt like BO. When I left off in 2014 I was using water-soluble oil. True it was easier to clean and much quicker but was still time-consuming and if not done properly left my skin feeling grotty. The biggest con for me was the smell, in the towels, in clothing and in the bathroom. About two months ago I dug up an old top I used to wear and it stank of old oil, like the greasy old oil smell from an oven that has not been cleaned properly. I thought the clothes smell was because our washing machine was a bit dodgy, but once we replaced it, I had the same problem. The smell and the high maintenance were a turn off as well as, what to do when you travel? Transporting enough oil, plus the cloths was a bit of a drag. I really wanted OCM to work, but it just wasn’t for me. My skin care routine now consists of Dr Bronner’s pure castile soap (bar which I make liquid) and fractionated coconut oil with essential oils as a moisturiser, but more on that later. So in review, no poo and diy deo are here to stay while ocm’s ship has sailed. In the preview category…. DIY cleaning products, Essential Oils (love love love), liquid soap, diy dish cloths and adventures in the garden. Plus I have some budgeting and financial tips up my sleeve too. Previous: There is no try, only do.